When George Vanderbilt first visited Asheville, North Carolina, in 1888 and began envisioning his private estate, the wooded slopes of the surrounding Blue Ridge Mountains included vast numbers of American chestnut trees. 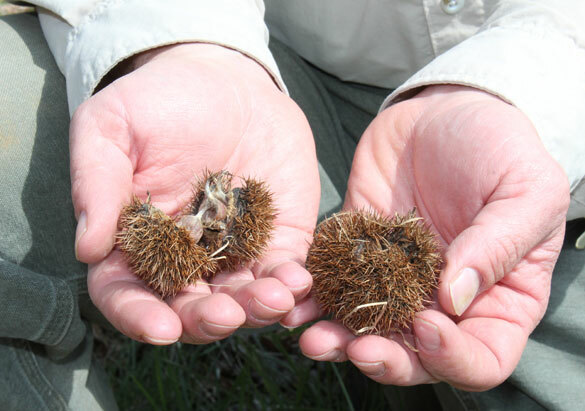 Seeds from one of Biltmore's hybrid chestnuts encased in a spiny, protective "burr"
Known as an all-purpose tree, American chestnuts grew quickly to great size. The wood was strong and resistant to rotting, making it a prized material for foundations, fencing, and railroad ties while the edible nut was an important source of food for cattle, hogs, and wildlife. 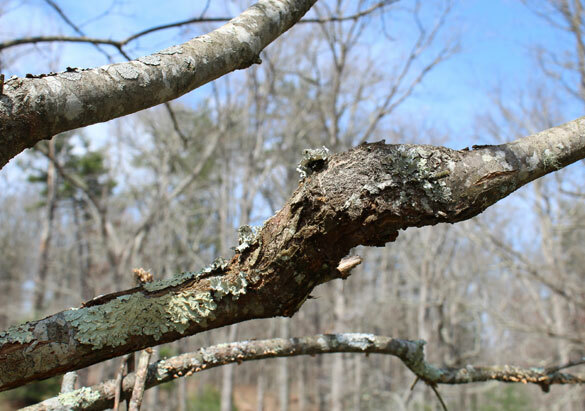 Around the turn of the 20th century, a blight (Cryphonectria parasitica) struck the American chestnut tree, effectively destroying the species as a source of food and lumber. The blight doesn’t kill the tree’s underground root system, but once an American chestnut sprouts from an existing stump, it succumbs to blight before it matures into a tree. 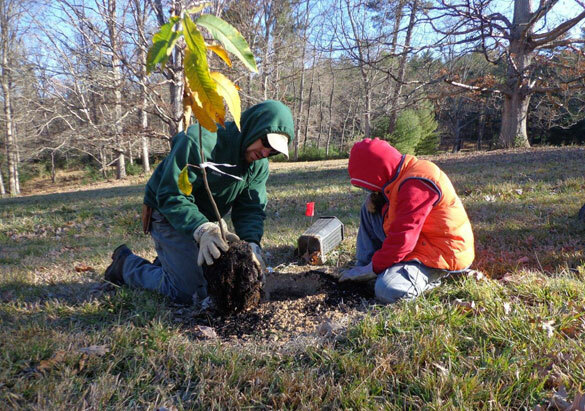 In 1997, Biltmore partnered with the American Chestnut Foundation (AFC) to provide a test site for hybrid chestnuts as part of the AFC’s work to restore this heritage tree. The AFC collected pollen and seeds from the estate and crossed the genetic material with blight-resistant Chinese chestnut trees. 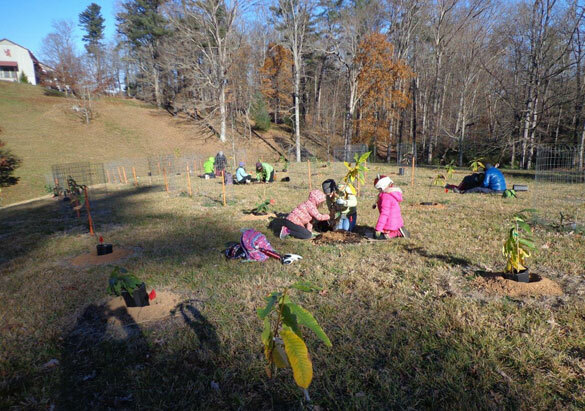 The seedlings were planted on a sunny slope near Deerpark Restaurant. “In a way, we’re restoring our roots,” said Jason Mull, Landscaping Supervisor for many of the outlying historic areas of the estate, including the Approach Road and the chestnut plantings. “This project has a natural tie to the importance Vanderbilt and Olmsted placed on landscaping and managed forestry. Jason has been involved with the chestnut project since the beginning and has now cared for several generations of trees. The test site includes a mix of American-Chinese hybrids plus full Chinese chestnuts that act as a control group. 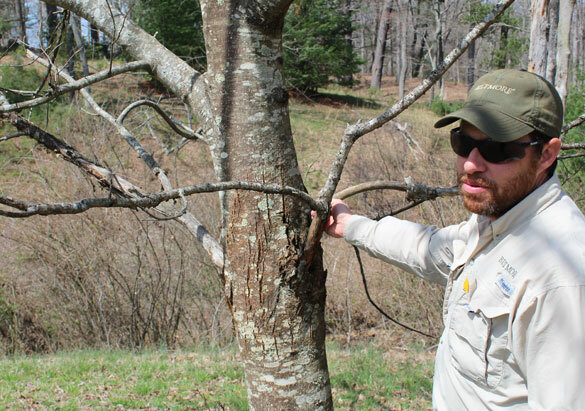 According to Jason, some of the more recent plantings carry a much higher percentage of American chestnut DNA than the originals because the hybrids have served their purpose in helping increase resistance to the blight.